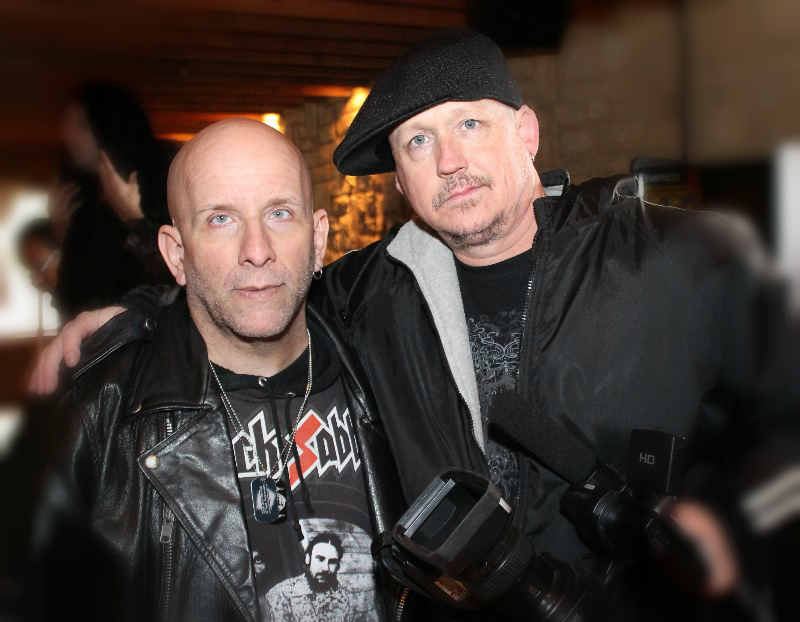 Filmmakers Damien Dante and Jeffrey A Swanson, the creators and producers of the Jezebeth Film Franchise have assembled their dream production team. With the success of their first full length cult classic vampire horror film Jezebeth, and a second film Jezebeth 2 Hour of the Gun in post production, the two business entrepreneurs began searching for their film editor. After a long search and with the help of some industry friends, the filmmakers signed on David OBrient Jr. from Texas. 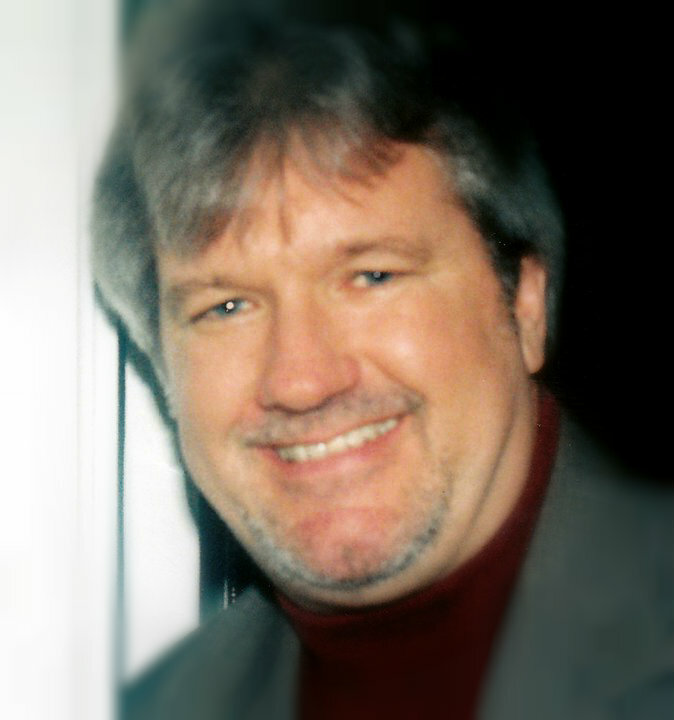 David is best known for editing: Lady Girl, Bad Sister, The Back Up, Jump Out, Junie’s Leverage, Chiaroscuro and others. Film Director Damien Dante has been working very close with David and his company C & G Productions, and the film edit is really coming together. Then just by fate, Damien and Jeffrey had meet William Shary on the set of Jezebeth 2, it was the final shoot, the vampire bar scene, and William was one of the extras. William had been a facebook friend for quite a while and mentioned that he and his partner Scott Caputo had a pro recording studio called Studio 32. After researching dozens of Chicago based studios we decided to have a meeting with William and Scott. Studio 32 was just what we were looking for., with a full size drop down projection screen, sound rooms and a large selection of sound effects. 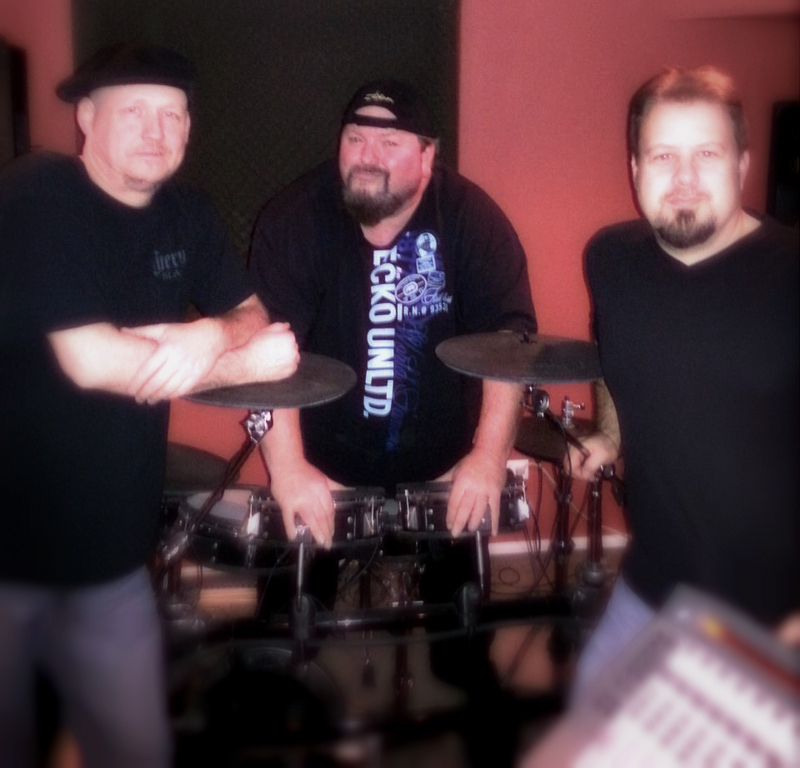 Also, William Shary is a seasoned drummer, while Scott Caputo is a keyboard player and an orchestrator, both are music producers and both have officially signed on to the team. With the movie Jezebeth 2 Hour of the Gun more than half edited, it won’t be long before we begin our ADR, Score, Sound Effects and Foley. And, as always the movie Jezebeth 2 will be loaded with great music from the Dark Star Records music label. With Damien Dante as Director, Writer, Producer and Jeffrey A Swanson as Cinematographer, Music Supervisor and Co Producer along with David OBrient Jr., the Editor, plus William Shary and Scott Caputo on Sound Production, it looks as though we now have our Dream Team. Look for Jezebeth 2 Hour of the Gun in the Fall of 2013 and Jezebeth 3 Hell’s Desperatos in 2014. 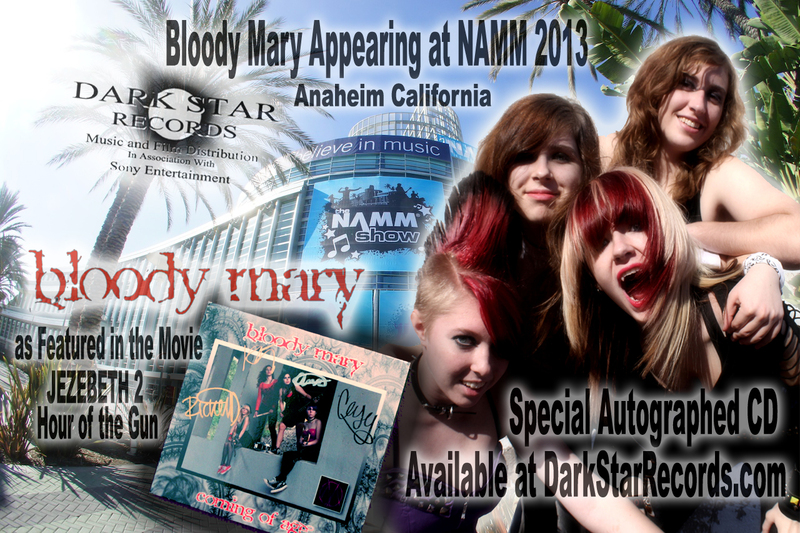 The All Girl Teenage Punk Rock Band “Bloody Mary” will be making a special appearance at this years NAMM The National Association of Music Merchants. This is by far the Largest trade show of it’s kind and it’s estimated attendance is close to 100,000 people. The event takes place January 24th through the 27th, 2013. The band will be attending each and everyday of the event and will be doing photo shoots with celebrity rock stars like Joan Jett, Billy Sheehan, and many others thanks to their manager Brian Strociek of Strociek Music. Brian just signed a major deal with Floyd Rose for his way cool whammy bar tool called Turbo-Trem. So, the band will be spending a lot of time at the Floyd Rose booth as well as negotiating a slew of endorsements. Look for daily updates at the bands Facebook page.